WRML.2016-12-22.diatomaceous earth.targeted treatment.goat drenches.off label usage. District Vets’ proud history.cases from Dr Rod Reece. other. Does Diatomaceous Earth Have a Role in Worm Control? Cornelius, Meghan (2016) Targeted selective treatment strategies for sustainable nematode control and delay of anthelmintic resistance in adult Merino sheep in a Mediterranean environment. PhD thesis, Murdoch University. ‘Targeted selective treatment’ (TST) is the concept of targeting anthelmintic treatments to individual animals that will benefit from treatment, rather than giving whole flock treatments. The purpose of TST is to delay the onset of anthelmintic resistance in nematode populations. Two key issues that have delayed the utilization of TST are; a) the need for a convenient and reliable method for identifying animals less likely to cope with nematode challenge; and b) the risk that some animals will be left with nematode burdens sufficient to cause sub-clinical disease that compromises production and welfare. 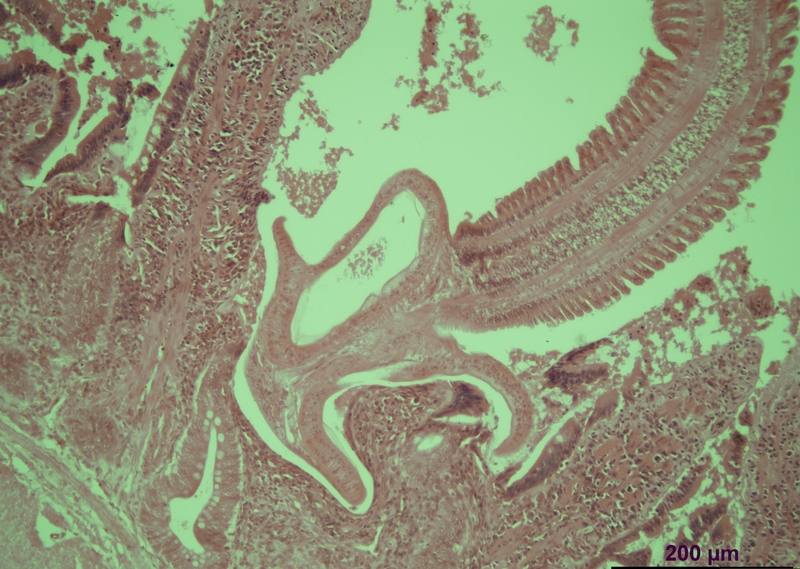 To investigate these issues, this thesis tested the hypothesis that body condition can indicate the ability of mature sheep to better cope with nematodes (and therefore remain untreated), thereby providing a convenient selection method for TST strategies in a Mediterranean climate, where Trichostrongylus spp. and Teladorsagia circumcincta are the predominant nematode parasites. The risk of loss of production and welfare by leaving some animals untreated was examined by modelling simulations, based on data derived from field studies, and on computer models, with various proportions of the flock remaining untreated to determine the threshold proportions of sheep to leave untreated. 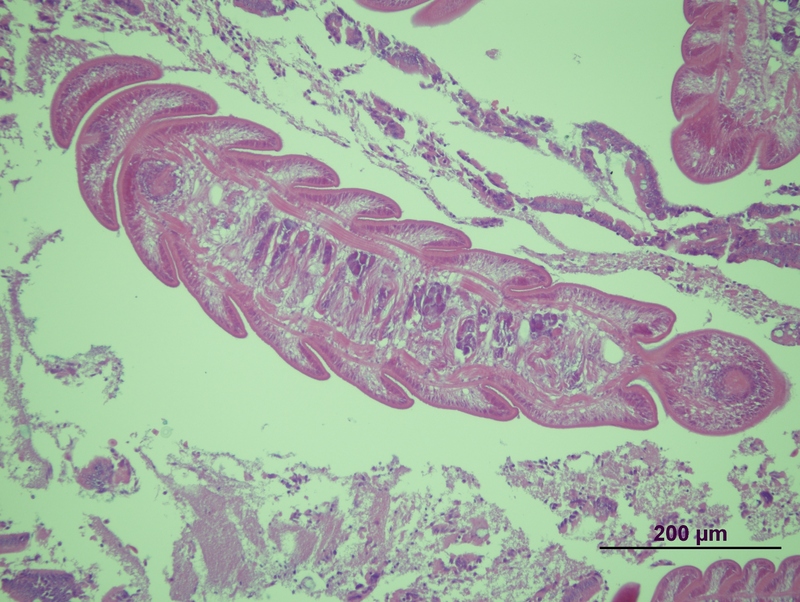 This approach indicated the trade-offs between delaying anthelmintic resistance with production loss and animal welfare associated with nematode burdens resultant from leaving animals untreated. Further to this, an investigation of Western Australian sheep producers (farmers) identified factors associated with the acceptance of sustainable nematode control practices, especially those likely to facilitate the adoption of TST and act as the basis for the development of communication strategies to producers. The findings of this research provide evidence-based recommendations for the sheep industry regarding sustainable nematode management strategies utilising TST in Mediterranean environments and the facilitation of adoption of TST strategies. In conclusion, the general hypothesis was shown to be applicable, that a body condition score-based TST control program can be practical to implement and will delay anthelmintic resistance in adult Merino sheep in a Mediterranean environment”. Note that Meghan indicates the context is ‘a Mediterranean climate, where Trichostrongylus spp. and Teladorsagia circumcincta are the predominant nematode parasites’. The concept cannot be transferred unmodified to areas where haemonchosis is endemic. Animals dying from haemonchosis can still be in good body condition. The biggest production loss from haemonchosis is due to death. Death kills productivity. – Ed. In short, an oral paste formulated for horses, which delivered 200 ug / kg of ivermectin, was ~ 100% effective. However, an injectable moxidectin product for sheep, when given orally to horses (at 400 ug/ kg) (off-label usage), was 72% effective (Despite twice the amount of active! (400 ug vs 200 ug). Assume nothing; extrapolate with caution). The District Veterinarians’ Association of NSW has its 99th annual conference in 2017. The DVs have a long and proud history, although their contribution to the primary industries of NSW has sometimes been misunderstood or undervalued. Their story effectively begins with the ‘Pastures Protection Boards’ system set up in NSW as result of successful efforts in the 19th century to eradicate sheep scab. Sheep scab is an acute or chronic form of allergic dermatitis caused by the faeces of the sheep scab mite: Psoroptes ovis (source: SCOPs). (c.f. the other P.ovis (Psorobia ovis (formerly Psorergates ovis); itchmite) – see here). Other countries, for example, the UK, still have sheep scab. The DVs and PPBs, along with the Department of Agriculture, played central roles in the eradication of TB and brucellosis from cattle in NSW. The national brucellosis and tuberculosis eradication campaign ran for 27 years from 1970 to 1997 and has been followed by ongoing abattoir surveillance (More SJ and Glanville RJ, Vet Rec, 2015). Australia is free of these diseases and was recognised as being free of bovine brucellosis in 1989, and bovine TB in 1997, with freedom occurring earlier in the southern states. Some other countries have yet to achieve freedom. (OK, to be fair to our English friends, they are aiming soon for about half of their country to be officially TB free. And yes, they have had the added challenge of badgers, which can carry bovine TB. As to NZ, “OSPRI’s goal is to eradicate the disease from livestock by 2026, from possums by 2040 and from the whole of New Zealand by 2055.” I guess our trans-Tasman friends don’t thank us for possums or underarm bowling. In the meantime, they wreak revenge through rugby and other activities). The PPBs pre-dated the Department of Agriculture in NSW, which around that time, was a part of the Department of Mines (if memory serves). Like the Department of Agriculture, the PPBs retained their name for about a century, then (like the Department of Agriculture and everyone else) went through a series of reviews and name changes. The PPBs (roughly 50 of them across the state) became the Rural Lands Protection Boards (fewer and larger districts, each with a board of directors), then changed again into the LHPAs (Livestock and Health Protection Authorities), and most recently, beginning with and related to restructuring of the Department of Primary Industries around spring 2012, combined with Catchment Management Authorities, forming ‘Local Land Services‘, from the beginning of 2014. The PPBs and their descendants raised their own revenue, mainly by levies on ratepayers (primary producers/farmers). In the early days, PP Boards had Stock Inspectors. From around the time of the World Wars, these increasingly were formally/university trained veterinarians, and their title changed to ‘Veterinary Inspector’. (I was one of them, from 1976-1986, after a stint in private practice immediately after graduating). Later the name changed again, to ‘District Veterinarian’ (although, in keeping with corporate trends, some of them have other titles as well, e.g., Team Leader of this, that or the other). When I was a new graduate in private practice (Hunter Valley), I was, like so many others, ignorant in many ways and this included having a pre-formed opinion of PPB and departmental vets without any basis in fact. (Why confuse the issue with facts? Recycled prejudices are much less mentally taxing). My vague notion was that public sector vets were a bunch of office-bound ‘shiny bums’ who couldn’t make it in the real world, and whose main role was to make life difficult for farmers (and real vets) by enforcing regulations and drowning them in paperwork. But, my opinion slowly changed as I was informed by first hand experience and evidence. One of the first veterinary officers I met was one Peter Kirkland. I was doing a ‘caesar’ on a dairy cow and he turned up to collect blood samples for a research project. Peter went on to do his PhD in virology, and over time became an internationally renowned veterinary virologist and head of the world-class virology facility at EMAI. He is just one example. Another one that comes readily to mind is former class-mate, Prof Peter Windsor, who in his early days was a government vet (as were Dr Peter Rolfe, Dr KM Dash, Dr M Smeal, Dr Boray, Prof. Richard Whittington and many other luminaries). I then became a Veterinary Inspector myself (for almost 10 years, working in various districts), and then worked in a government vet lab for another 10 years. During these periods, I became even better acquainted with a whole lot of veterinary ‘shiny bums’, who turned out to be very good at things other than sitting at desks and watching clocks. My view now? So after 40 years (as of last week) as a registered veterinarian, it has been my privilege to work with a range of top-notch professionals – veterinarians and non-veterinarians – from different organisations and sectors. And, also a lot of very capable primary producers! (contrary to some stereotypes). And as to the District Veterinarians? Well, the best of them are in no way inferior to the best of their colleagues in other types of veterinary practice. So, to the DVs (and many others) I say, ‘thankyou’. Congratulations on a long and proud history, and best wishes for your 99th conference in 2017. Those who cannot remember the past are condemned to repeat it. – George Santayana (16 December 1863 in Madrid, Spain – 26 September 1952 in Rome, Italy) was a philosopher, essayist, poet and novelist. 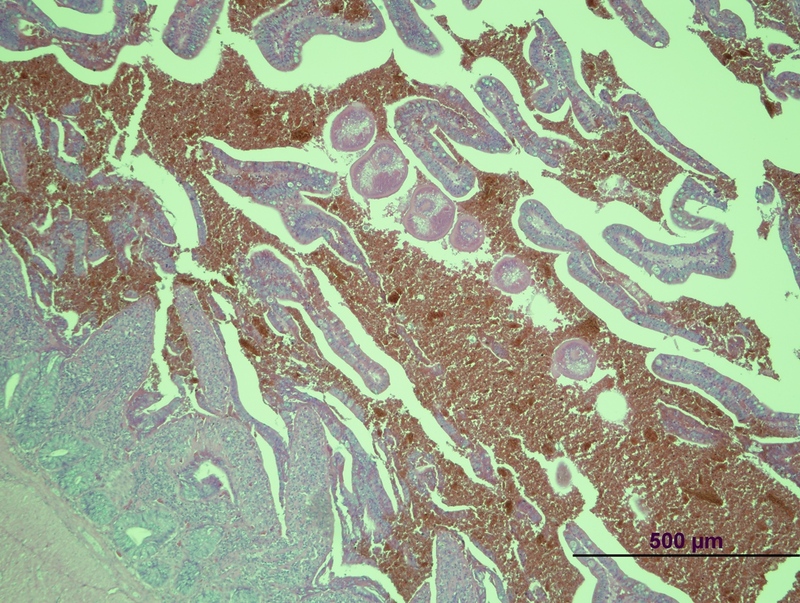 Back in September there was an article from one of NSW DPI’s veterinary pathologists, Dr Erika Bunker, who, with district veterinarian Dr Bruce Watt, reported on cases of closantel toxicity. Ascaridia galli in domestic fowl. L1 & L2 larvae moult occurs within the egg; L3 is released in the duodenal lumen and has a mandatory migration phase in the intestinal mucosa, and must bury the proximal third or so of the body within the mucosa for 5-10 days. A mature adult female A.galli is capable of producing 100,000 eggs per day; 40% of these are released in the early afternoon with 2/3 of total daily output released between midday and 6pm (limited studies). The adult female can reach 7-12 cm in length and 1cm breadth, males are 4- 7cm long and narrower. The adult nematode sits free within the intestinal lumen and maintains its position by undulating movements against the flow of ingesta. Older anthelminthics such as piperazine, narcotize the worms rather than kill them, and they may recover in the cloaca and commence retro-grade movement up the oviduct to be encompassed in a down-coming egg (very rare) or escape free into the abdominal cavity (rarer). Source: Dr Rod Reece, BVSc, MSc, PhD, FACVSc; Veterinary Pathologist, Registered Specialist in Veterinary Medicine (Poultry); NSW DPI, EMAI-Menangle. Rod also has had experience as a field vet (and is one of the giants). This is from the July 2015 report for Poultry Health Liaison Group. Notes (SL): Tetrabothrius (Tetrabothrium??) tapeworms. There are a number of different species in the Tetrabothrius genus, some parasitising seabirds such as gannets and albatrosses, while others are found in whales. Tetrabothrius sp can accumulate more heavy metals than their hosts. For example, in one study it was found that ‘ T. bassani accumulated twelve times as much cadmium as the gannet’s pectoral muscles. 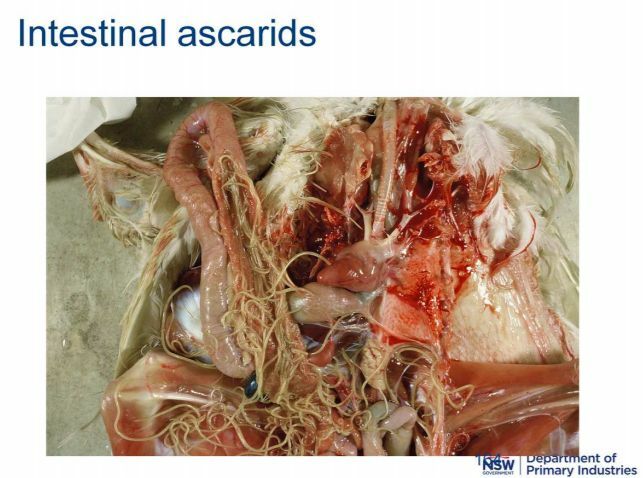 Furthermore the tapeworms had seven to ten times more lead than the seabird’s kidneys and liver. Since these worms seem to act like sponges that soak up and concentrate heavy metals, such substances would reach detectable levels in the tapeworms well before they became noticeable in the host’s own tissues. Because of that, these parasites can possibly serve as early warning indicators for the presence of pollutants in the environment’. Source: Dr Tommy Leung, Parasite of the Day, July 15, 2013. Megaloshizonts and gamonts: these are various stages of coccidia. (The only animals I have treated with methylene blue were dairy cows with methaemoglobinaemia (Nitrate/nitrite poisoning/Sudax). The blue urine the next day was quite memorable. (Dame Edna could have sat behind a treated cow. Cheaper than a hairdresser. And as bonus she might have got a pat on the head)). http://www.theland.com.au/story/4367097/blair-charts-new-course-for-lls/?src=rss&utm_source=The+Land+Newsletters&utm_campaign=eb4c34dd57-newsletter&utm_medium=email&utm_term=0_ade9099b1a-eb4c34dd57-114557597 (‘Must be (getting) thick(er): I don’t understand this artricle. ‘Will have to wait for the outcome). Do you remember how memory works? I bought a thesaurus at a store yesterday. Brought it home only to find all the pages were blank. Best wishes to all for Christmas and the New Year, remembering also those in various places doing it tough, some in life-threatening situations, but also, closer to home, friends and colleagues adversely affected by restructuring happening in various organisations here and overseas. ABSTRACT: The use of synthetic drugs against gastrointestinal nematodes of ruminants has led to a situation where resistance to anthelmintics is widespread, and there is an urgent need for alternative solutions for parasite control. One promising approach is to use polyphenol-rich bioactive plants in animal feeds as natural anthelmintics. In the present work, the in vitro activity of a series of 33 hydrolyzable tannins (HTs) and their hydrolysis product, gallic acid, against egg hatching and motility of L1 and L2 stage Haemonchus contortus larvae was studied. The effect of the selected compounds on egg and larval structure was further studied by scanning electron microscopy. The results indicated clear relationships between HT structure and anthelmintic activity. While HT size, overall flexibility, the types and numbers of functional groups, together with the linkage types between monomeric HTs affected the activity differently, the optimal structure was found with pentagalloylglucose. Stephen, Once again, thank you for what you are doing! www.landbou.com. Click on Indeks van antwoorde. There are over 4 000 answers for farmers and over 9 million people have read answers. Unfortunately you will have to use Google translation. We are starting translation into English. Prof Gareth Bath has contributed in a great way to practical parasite control: The name FAMACHA and development of the chart is his brain child. Five Point Check and Big Five for worm control are but some of his achievements! We are pretty pleased with what we have achieved over the past 6 or 7 years – selecting worm resistant sheep in probably some of the best conditions (for worms that is, not sheep) in the world. We have had two years of ram sales with EBVs for FEC with an accuracy of >80% and are now running at about 80% or so of our post-weaning lambs no longer requiring drenching at all. Quality of the sheep has improved consistently too, despite no longer drenching. We have an MSc student busy with genomic sequencing of good, bad and the ugly worm resistance-wise and are due to perform a GWAS sequencing on frozen EDTA blood in 3 years’ time. Attached are graphs that may be of value – before and after. Sires are on the X-axis, illustrating how dramatically the % of weaned lambs that required drenching has dropped in five years. We rank and select on two indices: One is Average FEC (or WEC as you call them in Australia) for the first summer after weaning, and the other Average FAM : Ave BCS : Ave FEC. (FAM=FAMACHA (score of conjunctival colour). BCS=Body Condition Score). This index selects the sheep that are thriving despite the conditions and also eliminates the resilient sheep from selection. Rankings are usually fairly similar. Red=not dosed. Blue=dosed once. Green=dosed twice. Haemonchus contortus is commonly called ‘barbers pole worm’ in Australia (but wireworm in S Afr). However, there is another ‘wireworm’, also a blood-‘sucking’ (haematophagous) ‘stomach-dweller’. This is Libyostrongylus douglassii, the most economically significant GI parasite of ostriches. It is found in the proventriculus and gizzard of ostriches. It can cause anaemia, weakness and death (especially in chicks). The condition in South Africa is called vrotmaag (‘rotten stomach’ (diphtheritic proventriculitis, with subsequent fermentation of the proventricular contents )). McKenna (2005), citing various, says that, in Australia, L douglassii has been detected in New South Wales and Western Australia, as well as being found on approximately one-quarter of the ostrich farms surveyed in eastern Victoria (Button et 1993) and on 33% of 12 farms in Queensland (More 1996). In fact one case was discovered at the former NSW Dept. Agriculture Regional Vet Lab, Armidale (WH Johns, 1980s/1990s). There are old records as well of L douglassii being in Australia (There was, for example, an ostrich industry in South Australia ~ 100+ years ago, when ostrich feathers were very fashionable. “Ostriches, of which several importations were made between about 1868 and 1912 or later, were farmed commercially in Australia until the First World War” – Barton N and Seward D Aus Vet J 1993 – who also confirmed, from Australian museum collections, that ‘L douglassii (and Codiostomum struthionis) were brought to Australia with the early importation of ostriches’.). L douglassii was found in the New Zealand in 2004, and it occurs in various countries in Europe. Libyostrongylus occurs in North America. There are no records of it occurring in the native ratites (emu, cassowary) of Australia, although there is one report of it apparently being found in an emu (Dromaius novaehollandiae) in Sweden. Of course, the infrequency of reports of Libyostrongylus infection in other ratite hosts does not, in itself, rule out the possibility that such cross transmissions could take place. While L. douglassii is the only helminth that has been recorded in ostriches in New Zealand so far (2005), this does not preclude the possible undetected presence of others (McKenna, 2005). (Ratites: ostrich (Afr), emu, cassowary (Aus), kiwi (NZ), rhea (S Amer). A ratite is any of a diverse group of large, flightless birds of the infraclass Palaeognathae. Unlike other flightless birds, the ratites have no keel on their sternum – hence the name from the Latin ratis (for raft) Source: Wikipedia). de Andrade et al., 2011. 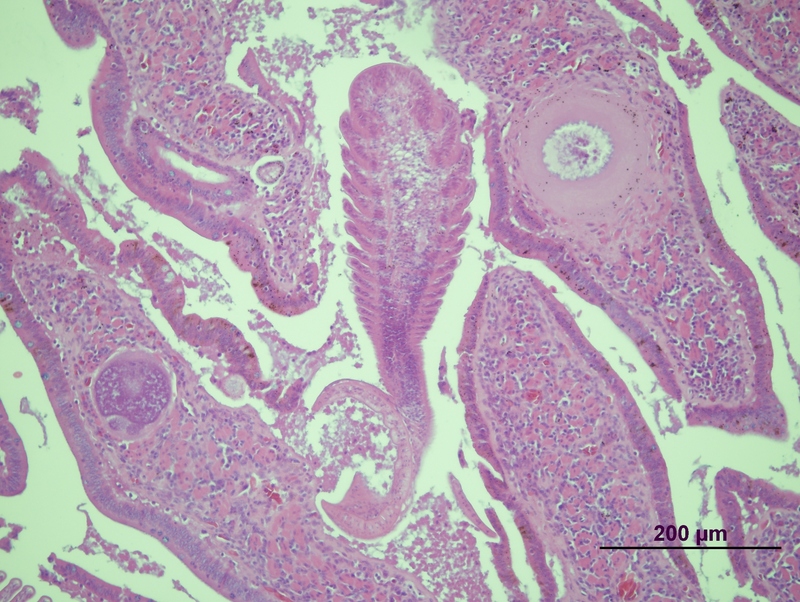 Mixed infection with Libyostrongylus dentatus and Libyostrongylus douglassii (1882) induces a heterophilic inflammatory infiltrate in the proventriculus of ostriches, Avian Pathology, 2011. (Dr FS Malan reported (1988) levamisole-resistance of Libyostrongylus in South Africa. It was apparently the first reported case of anthelmintic resistance in ostriches. de Souza et al (Brazil) reported in 2012 that, against L douglassii and L dentatus, efficacy of 60% was found for ivermectin, while albendazole and moxidectin were 100% effective, with both worm species appeared to have reduced sensitivity to ivermectin. So, again were are reminded: assume nothing; test everything. I suppose that is what science is about). In much of NSW in November it went dry, and sometimes hot. This followed on the heels of a few months of well above average rain for much of NSW, less so for the North Coast. The Bureau of Meteorology – which some say is a non-prophet organisation – predict that it will be hot and dry for much of NSW this summer. So, worms won’t be an issue this summer, right? Two things to consider: the resilience of the infective stages of roundworms (L3 larvae) already on pasture, and drench resistance. You could also mention other things like less than optimal grazing management, the worst for worm control being set-stocking. Given the good rain in late winter and early spring, a lot of larvae were produced when it got warm enough. For BPW, this would be around late October in Tablelands areas, and perhaps 4-6 weeks earlier elsewhere. So, assume there are still plenty of L3s on many farms in NSW, and that there will be for weeks to come. Experience tells us that there will still be worm problems, even if less than previously expected. One property here in the New England comes to mind. For each of the three dry years prior to 2016, they had ongoing problems with barber’s pole worm, and had to do a lot more drenching than you would have thought given the dry conditions. We suspected drench resistance was a major problem – and it was. Even the mectin-based triple active they were using wasn’t doing the job. Assume nothing. Do some testing. What about liver fluke? The infective stage (metacercaria) of fluke can last up to 9-10 months under cool, moist conditions. However, once the mercury climbs past 25 degrees C, the infectivity of metacercariae falls away quickly. So, fluke is stuffed if it is hot and dry? Yes and no. You still have the fluke stages inside the intermediate host snails and these snails are very good at surviving cold as well as hot conditions, even if it means they ‘shut down’ for a while. Once good conditions (warm/moist) resume, the snails ‘come to life’ and infected snails start pumping out ‘baby’ fluke again. In short, there will be fewer worm problems if we have a hot, dry summer, but there will still be problems, especially if you don’t do regular WormTesting, you have been using ineffective drenches, and don’t have a good system of pasture rotation. Have another read of the WormBoss Program for your area: time very well spent. A survey found that 10% of consumers won’t buy woollen garments because they believe they are allergic to wool. But, according to this article in Beyond the Bale (BTB) (http://beyondthebale.wool.com/#folio=24), a high powered group of medical professionals reviewed research papers going back 100 years and found no evidence that wool is an allergen. BTB goes on to say that, if a fabric does result in prickling or itching, then this is due to the large diameter of the fibre, not because the fibre may be wool. Something good can come out of elections, even if it is true that, as someone said, “the trouble with political jokes is that they tend to get elected”. Jan 30, 2015 – The “Singular Versus Plural” Rule. As I said, that’s the simple rule, and the one you’ll hear most often, but another way to think about the difference that also takes care of some of the exceptions to the simple rule is to use less for singular nouns and fewer for plural nouns. Are other languages this complicated? Welsh? Conflicts of interest: zip, nichts, nada, niks, dim byd/sero, i.e., none.